Marketplaces and prices shown matched UPC number 887961739466 during our search. 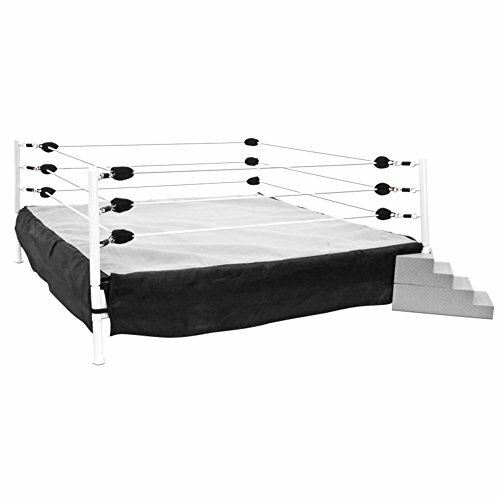 This highly authentic WWE Superstar ring has flexible ropes to simulate true action. Slam your WWE Superstars into the spring-loaded ring mat for an authentic bounce! At 14-inches across, the ring's size means the arena can be fully loaded with WWE figures for big, body slammin' battle action . 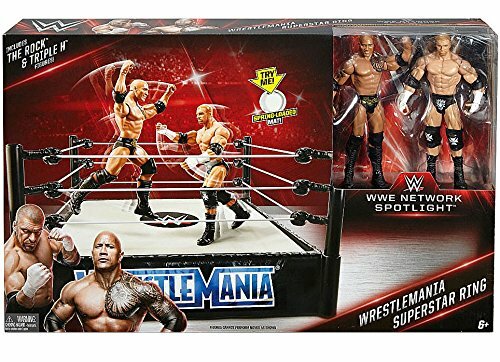 Kids and collectors will love setting up their favorite matches with WWE figures or engaging in new rivalries! Get realistic, big action with this WWE Superstar Ring featuring an authentic logo just like the one in the main event! Bounce off the ropes and hurl with full force at your rivals. Climb to the top of the turnbuckle and launch into signature moves -- just like the WWE Superstars! 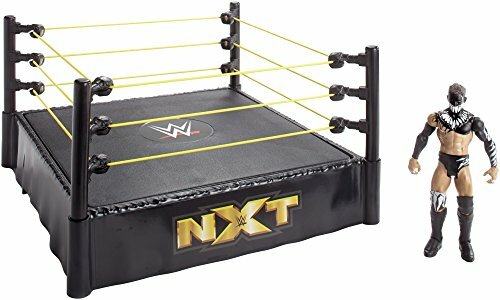 The Superstar ring’s size—14-inches across—means the arena can be fully loaded with WWE figures (sold separately) for big battle action. Slam your figure into the spring-loaded mat and it will pop back up from the impact and you can score the ultimate victory! Get this ring and have an all-out, body-slammin', high-flying battle! Each ring sold separately, subject to availability. Colors and decorations may vary. For ages 6 and up. 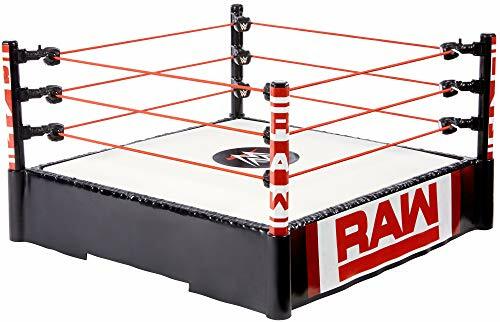 This is a WWE Action Figure Raw Ring.